Last year I came in contact with U.S. based label I Dwell Records and its producer Jack Riddim. The label had put out two smoking releases – Lymie Murray’s Deeper Roots and Toussaint’s Where I Lead. Both albums were dark and intense, but had a warm touch. The label’s latest release is Trinidadian expatriate Khari Kill’s modestly titled album Born to Rule. He rose to prominence about seven years ago with the mighty Picture of Selassie on Massive B’s relick of the Truths and Rights riddim. Several strong singles were soon released and followed by an excellent album, produced by Massive B, Lustre Kings and Outta D, in 2007. Since then it has been rather silent from the Kill camp. Until now. Born to Rule does not reach the same high standard as his debut nor Lymie Murray’s or Toussaint’s sets for the same producer, even though Jack Riddim recycles a bunch of the best riddims from his previous projects. 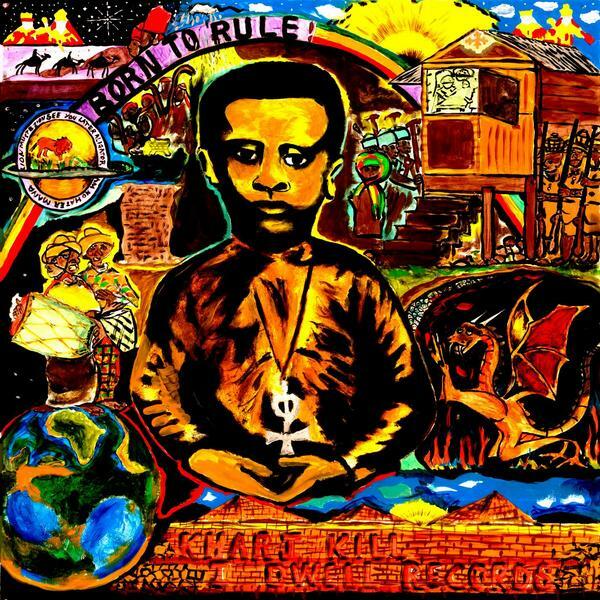 Over the course of 13 conscious tracks Khari Kill rails and rages in an aggressive singjay style against evil and injustices in society while praising the Almighty and keeping his faith in Jah. It gets a bit weary, especially his non-melodic delivery. The set would have gained from including a number of combinations with singers, just to smoothen things up a bit. Born to Rule is a raw and relentless set of songs, but probably best consumed in smaller doses. Keep the remote handy. 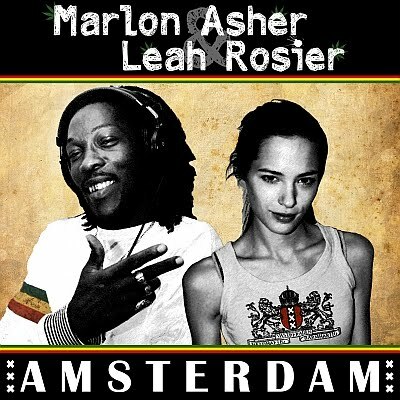 Dutch singer Leah Rosier has teamed up with Trinidadian Marlon “Ganja Farmer” Asher for an anthem coming from the east side of Amsterdam. The tune – fittingly titled Amsterdam – is based on Massive B’s Kingdom riddim that provided backing for Chezidek’s monster tune Call Pon Dem. Amsterdam also utilizes that magic organ. Amsterdam comes in five different versions – an original mix, a dubstep mix courtesy of Subatomic Sound System, an electronic cumbia version from Bleepolar, a dub cut by Egoless and a apocalyptic exercise from Tony Dubshot. Listen and find your own favourite on Soundcloud where you also can download the Tony Dubshot cut for free. For those who want to sing along in Amsterdam can catch Marlon Asher live in Holland in June and July.